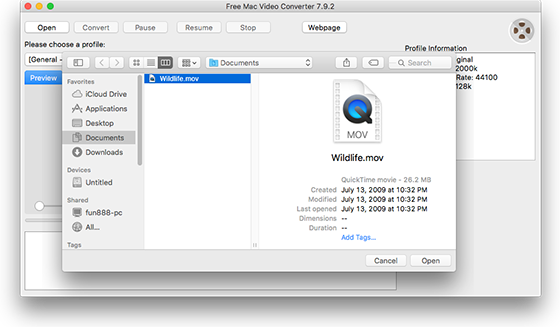 How to Convert MOV to FLV on Mac? Want to upload MOV-format videos to your social media pages? If so, you need to convert them to FLV format first, since FLV files are the most widely used for streaming video over the Internet. All you need to start converting MOV to FLV is the right video converter. 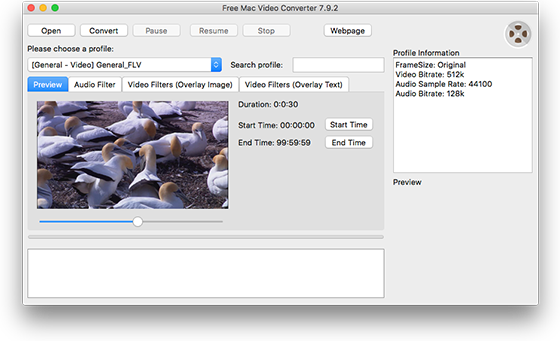 With Free Mac Video Converter, you can transfer your videos to FLV on Mac quickly and effortlessly! 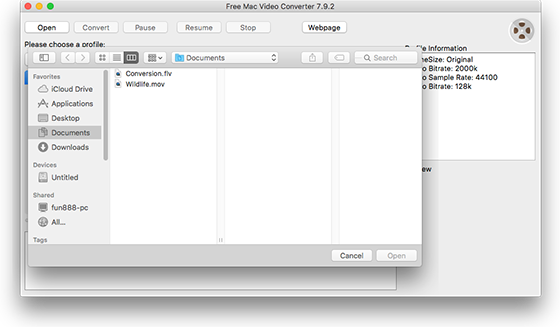 After you launch Free Mac Video Converter, click “Open” and in the activated window choose the video file you want to convert, then click “Open”. The video will be loaded in the program window immediately. You will find a series of video profiles listed in the dropdown menu of “Please choose a profile”, choose “FLV” as the output format. To quickly find the format you need from the long list, just input the format in the box of “Search profile”. Now, click “Convert” button to start video conversion. When the process is complete, you can directly find the converted video in the source folder with the name of “Conversion”. If you have the need to cut video, just take a look at our tutorial: How to Cut Video on Mac? Or for those who want to add overlay image/text to their videos, go to check the tutorial: How to Add Image and Text Overlay to Video on Mac? Moreover, in “Audio Filter” tab you can specify the value of volume and echoto suit your needs. How to Convert Video on Mac Easily & Quickly? How to Cut Video on Mac? How to Add Image and Text Overlay to Video on Mac? How to Convert AVI to MOV on Mac?